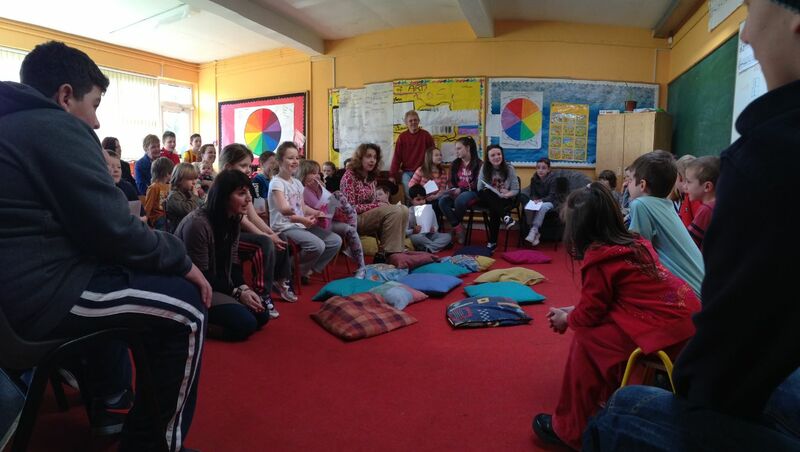 On the 11th of March we had our first ‘reading day’ at Sligo School Project. 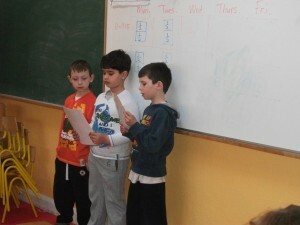 The children wrote short stories which they read out on the day. As a general topic we chose ‘Creatures come alive at night in the school’. Tara, Jade and Rachel organised the day with help of Robert. They made sure that all children and teachers were informed about the set up for the day. They designed a letter that was sent out to all families. They prepared the rooms on the day. They collected the contributions of all children and coordinated the order in which the stories were read out. They took care of the catering in the library, brought cups, plates, knifes from the staffroom, made sure that during the break everyone was served, washed the dishes afterwards and cleaned up the room the next day. 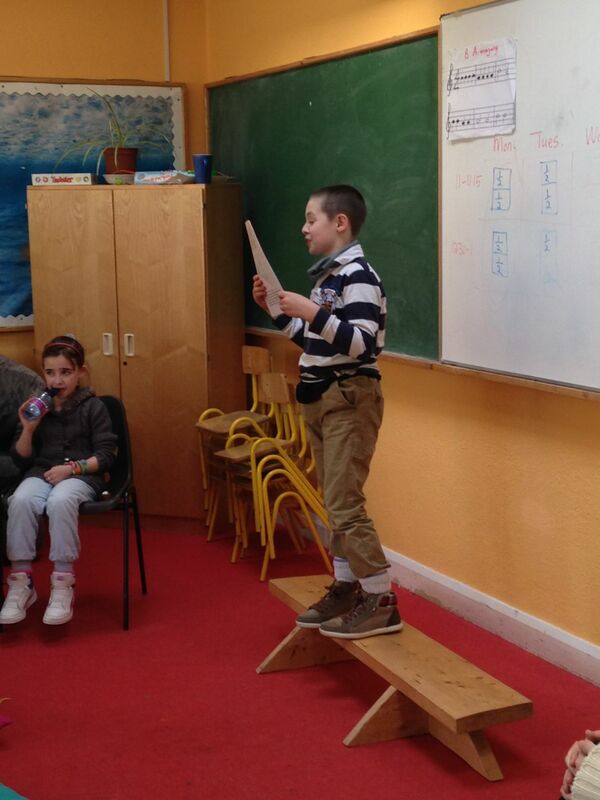 During the reading performance they announced the various contributions and their authors. In truth: even if they may not be aware of it, they did an amazing job! 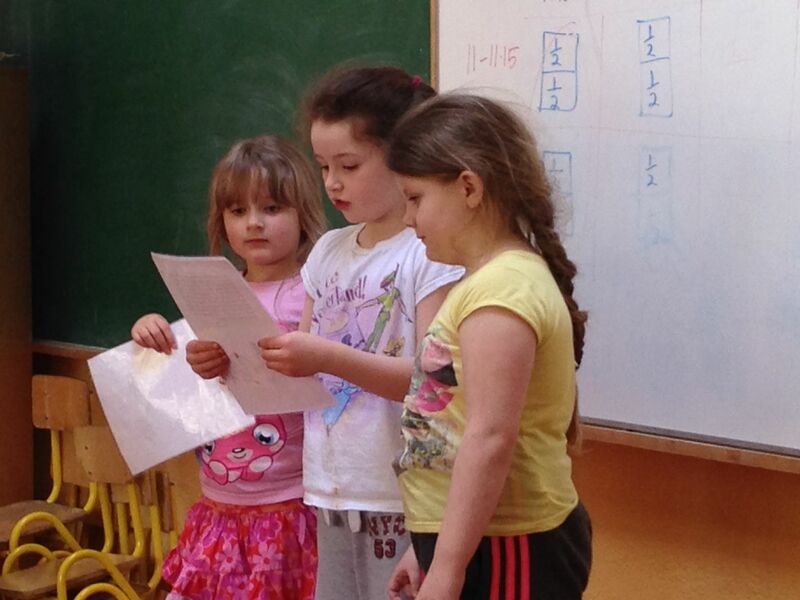 The reading of the stories took a bit more than an hour. This was split in two parts with a half hour break in between (with fantastic cakes that parents had brought in). Everyone involved had great fun and it was obvious how all authors were extremely proud – and rightly so! – of their stories. However we also realised on the day that we need should do similar things more often. The one problem that occurred was that frequently the children who read out their texts were simply not used to projecting their voice in a manner that everyone in the room could clearly hear. But this is something they will surely learn in the future and yes, we will definitely try to get more of this going. It is too much fun to be a once-off. Below you can find a selection of pictures of the day. The stories of the children are also available in a separate section and you can access them by following this link.